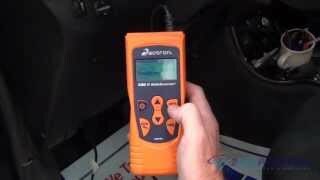 My car is giving P1456 EVAP emission leak detected (fuel tank leak) error. I cleared the engine light once but it again came up today. Also, I have noticed a dip in car mileage. Please let me know how can I get it rectified (starting from cheapest) and how much it is going to cost me? To better assist you is your model the DX, EX, or LX? Also, what is your engine size in liter? Engine size is 2.3 L.
Thanks for the information and sorry for the delay (technical difficulty). The code it appears that it has to flag twice before it trips. This is a two-trip code; once cleared, it cannot be reproduced in one trip. Also, certain specific driving and ambient conditions must occur before the ECM/PCM will complete the system checks. Additional test drives may still not meet the specific conditions needed to reproduce the code. There are several tests to check the code, but the first suggestion is the fuel fill cap was not properly installed. My suggestion is first make sure your fuel cap is on really good at least three clicks. Next please go to Auto Zone (AZ) or O'Reilly's and for free they can pull the codes to the car. Most important: Once they check your codes, please make sure you write it down and then have them clear the codes. Then lets see if it trips again. That will eliminate the fuel cap. Also, it looks like you may have some recalls on your vehicle. The dealer may fix these for free. 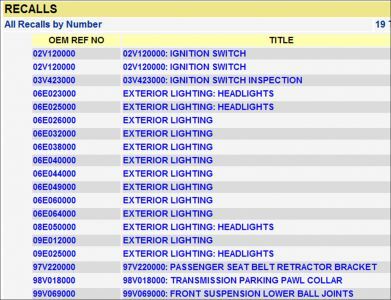 Please contact the dealer service department, give them the VIN number of your car and have them check on these to see if they apply to you. My 1998 Accord LX four cylinder automatic is giving a P1456 EVAP Emission leak detected (fuel tank leak) error. I have cleared the engine light more than once but it comes back after a few days or a week. I have noticed a dip in car mileage. I found that behind my gas cap, a gasket appears at the top of the filler tube. It appears to have a split. Could that be causing the problem? Would replacing a part such as 17662-S04-003 possibly resolve the P1456 issue? To test the theory that the leak is where I suspect it is located, I applied some caulk to try to patch the leak. I will drive it this way for a few weeks to see if the engine light and P1456 come back. Sorry, that might not change anything because that really does not seal anything the tube travels below that. I have seen the charcoal canister leak on these cars. Here is a diagram so you can remove it and test is for leaks also check the hoses from it to the tank and the purge solenoid. Check the seal on the gas cap as well. Thanks for the help. At least I will not bother with trying to replace the 17662-S04-003. I have previously taken the car to a dealer and they cleared the code and tightened the gas cap. Before the tank was empty the code came back on. I suppose replacing the gas cap with a new one is fairly inexpensive, so perhaps I should try that next. I had some difficulty locating the charcoal canister, but did find that it is underneath the car body, below the rear seat on the driver s side. I believe the canister part number is 17011-S84-A00. I have attached photos corresponding to the diagrams provided. How would I test the canister for leaks? Do I need some particular type of tool? How would I test the hoses from the canister to the tank and from the canister to the purge solenoid? You will need to rig something to plug hose ports and something to blow a little pressure into it while holding it under water much like a balloon. Also, check all hoses for the system here is a diagram so you can see which ones to look at. I also found that one of my pictures shows evidence of a leak near the "EVAP bypass solenoid valve". See the first attached image, dark area left of center. But another picture (second image) taken at a later time seems to not show any evidence of a leak. I am wondering if maybe I had fuel present in the first picture that evaporated by the time I took the second one or it could have been wet dirt from driving in the rain, but why just in that area? This may not help, but does seem odd. I used my code reader to execute an EVAP Sys. Leak test . The code reader indicates Command Sent and I heard what sounded like a relay near the canister. This did not cause any malfunction indicator light (Check Engine Light) nor did it set any codes. However, the gas tank is near full so this may not be a legitimate test. I found some areas that may show evidence of leaks and cleaned them up so that I could check for future evidence of leaking. The first image is a dirty IAT sensor. The second image is the same sensor cleaned up so that I can check for future leaks. The third image may indicate leaks from the gas cap. The fourth image is the same area cleaned up so that I can check for future leaks. The elak will be gas vapor so its hard to see. I do not see anything in the pictures that warrant a leak you are going to need to test the castistner and lines with the control valves to find the leak. Have you tried a new gas cap? I did order a new Honda gas cap online. I will give that a try. If (after installing the new cap) I get a check engine light, I will provide an update. If I do not get a check engine light after a couple of tanks of gas, I will report presumed success, but that will probably take a few weeks to know. Since the last time I had the check engine light (and the P1456), I have made two changes. (1) I applied the caulk described in my 6/23/18 post and (2) I replaced the gas cap on 6/30/18. Ken responded to the 6/23/18 post and indicated that the caulk would not help. I have not yet checked the canister for leaks. I installed a new gas cap on 6/30/2018. The original gas cap had been in use since I bought the car in October 1997. The sticker near the driver s side door indicates the car was built 09/97. When the new fuel cap was installed, the car had around a three quarter full gas tank. It has been driven a few times (several trips) so that it is now just over half full. The check engine light has not yet come back on. I think if it gets through the next tank of gas after the current one, the problem is likely fixed by the new gas cap. No light so far, but I do have a pending code, P1456. It might go away, keep an eye on it. I think the pending P1456 code cleared automatically, which is what I understand the car should do if the test passed the next time it was run. I believe two consecutive measured failures are required to cause a malfunction indicator (check engine) light to be turned on. I am still on the same tank of gas I was using on 7/2/2018 when I had the pending code, P1456. I have not touched the gas cap since it was replaced on 7/1/2018. The pending code seen on 7/2/2018 may have been set before I had replaced the gas cap (there is no way of knowing at this point). I did not try to clear that pending code (at least not intentionally). While investigating a problem with my temperature gauge on 7/4/2018, I noticed that my standalone ODB II code reader gave me a green LED. The manual indicates that I would get a yellow LED if I had pending codes. 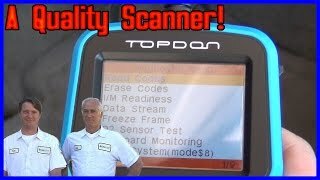 Today (7/5/2018) I used a Wi-Fi ODB II reader with the ODB Fusion app and on the "diagnostics" screen under the heading "pending" I now have a green check and "No trouble codes are detected." For completeness, under the heading "confirmed" I also have "no trouble codes are detected." This is the test equipment I used when I found the pending code reported on 7/2/2018 (earlier post). I think this problem is solved, but will continue to monitor through the next tank of gas. The new gas cap seems to have been the solution.